This post is going to be for the people at the Basics for Business: Blogs event at the Calhoun County Chamber of Commerce. But anyone can use these tips for blogs and social media! I have created a PowerPoint presentation on how to blog and use social media. I have uploaded it to Slide Share so everyone can view it! This presentation tells you how to create a successful blog. 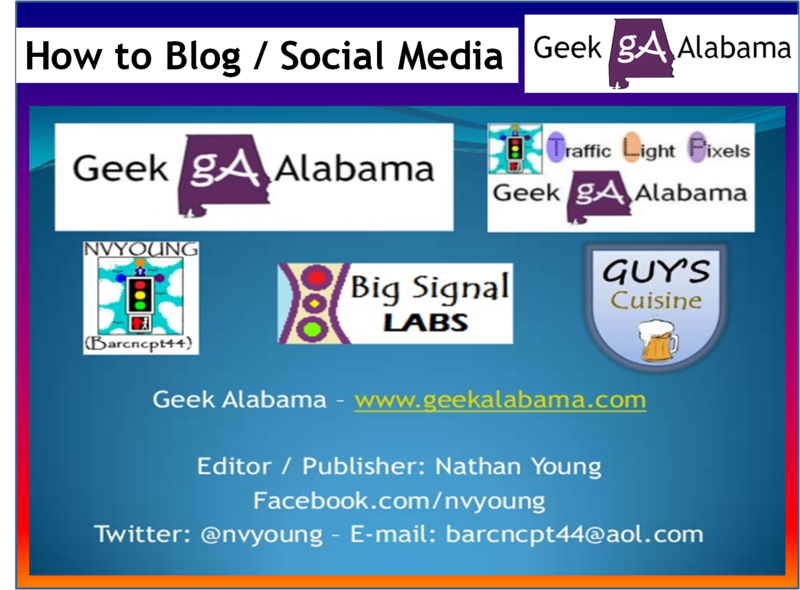 I have included some images from Geek Alabama to show you how to be successful at blogging! 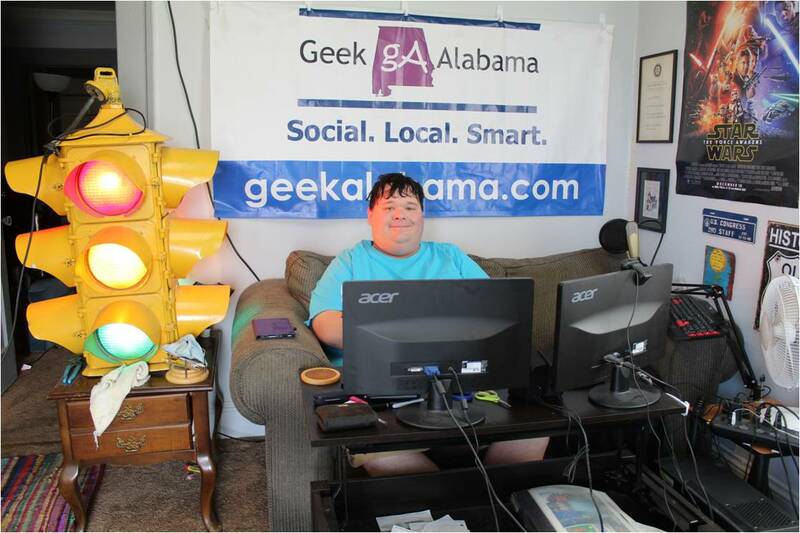 It also includes some of the successful features of Geek Alabama. On the social media side, I show you the six social media sites I use. You will learn why everything ends with @nvyoung. And there are some tips to use social media successfully including a way to schedule your social media posts. I suggest you view it below!